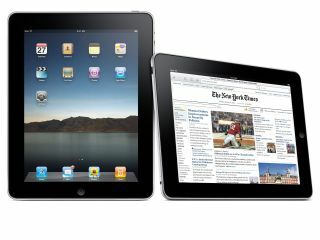 Apple is set to launch the new iPad this coming Easter weekend in the US with a new update to iTunes also set to arrive around the time of launch. The latest iTunes updates should arrive on Saturday according to MacRumors, bringing a few small changes to the iTunes Store's categories, improving the Genius Mix feature and altering the device management interface. Presumably to cope with an iPad being plugged into your Mac or PC. "Audiobooks" will be absorbed into new source category "Books," with Apple continuing to strive to make content management on iPods, iPhones and iPads a user-friendly experience. Ars Technica notes that there has not yet been any mention of where the new newspaper and magazine deals Apple has been cutting for the iPad will appear on iTunes. iTunes 9.1 will also shift the "Check for Update" and "Restore" buttons over to the left side of the screen and users will also be able to convert their tunes quickly and easily to 128Kbps AAC to get more songs on their portable music players, should they wish. Apple is rumoured to be bringing out the next version of the iPhone this summer, according to the Wall Street Journal this week.